- and four 4 1/2" squares for corners. - and one 4 1/2" square for the centre of the block. Sew one background triangle to one medium color triangle as shown in the diagram at the top of this page. 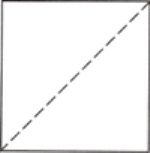 Sew the two triangle unit to one large dark fabric triangle as shown in the diagram at the top of this page. - press seams toward middle. 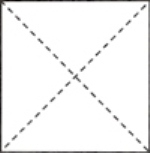 - press away from middle. Matching seams, sew your rows together. Finished with Judys Star Quilt Block? 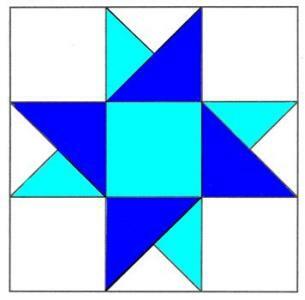 Return to "Learn to Quilt"
Or go to "Dresden Plate Block"